The Botanist Gin will be presenting the first in its series of dinner collaborations at Anti:dote in Swissotel the Stamford on 24 March 2018 from 6.30pm that will feature a botanical-themed cocktail pairing dinner carefully curated by Anti:dote’s head chef Tryson Quek and head craftsman Bannie Kang. 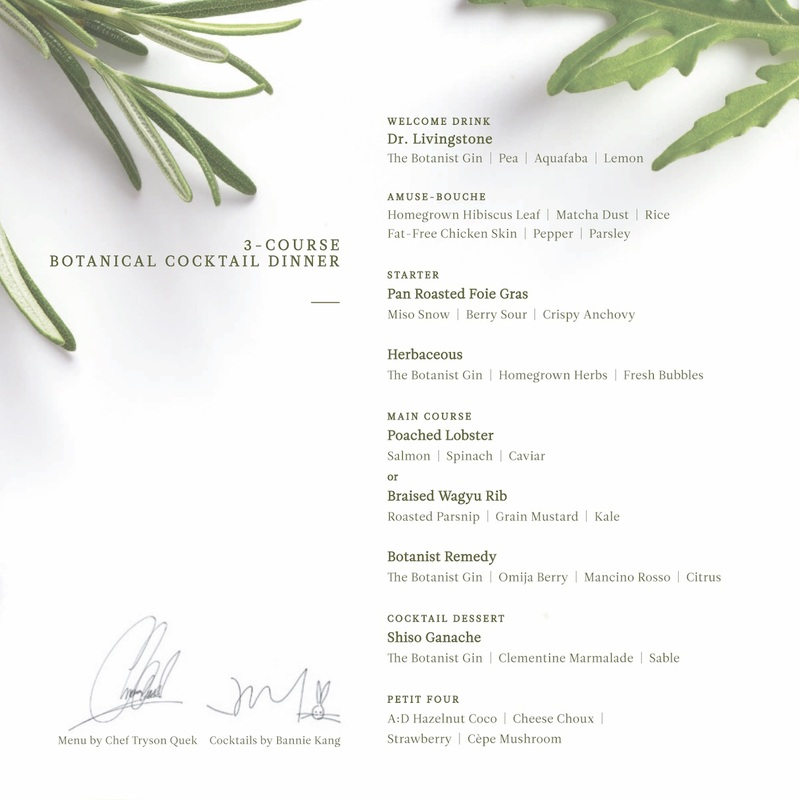 This special one-night only, three-course dinner will be a gastronomic exploration of The Botanist’s 22 hand-foraged botanicals, juxtaposed with botanicals from Anti:dote’s very own herb garden that will used in both the food by Chef Quek and gin cocktail concoctions by Kang. This dinner costs $65++ per person; to book a spot call 9144 2537 or email macarena.rotger@fairmont.com.